Home theaters enable us to absorb the best out of our favorite movies and series through audio. 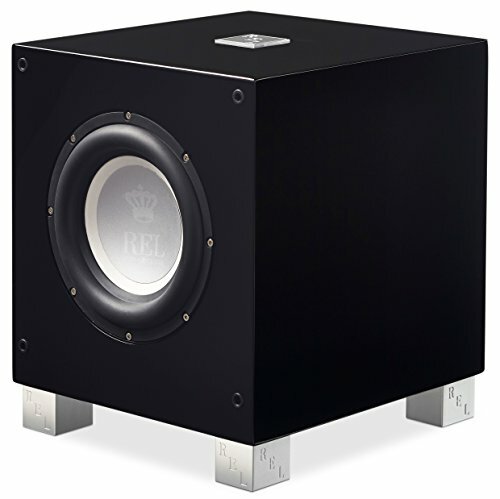 Best Subwoofers are one of the components that are in charge of delivering punchy and dynamic bass that is either air-moving and not too overwhelming for mids and treble. The Wireless Subwoofer with the right equipment is adding more mobility and provide a more precise and original sound. In this article, we will take a look at the 10 Best Wireless Subwoofer cabinets with the corresponding transmitters and sound bar systems with Bluetooth. Continue reading this compelling article if you are willing to add more bass to your home theater. 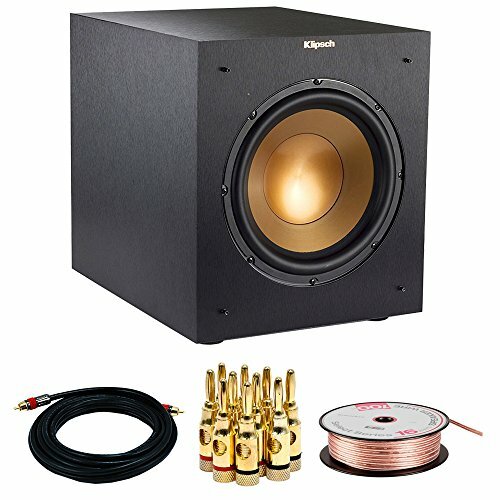 Klipsch R-10SWi is a 10-inch subwoofer which wirelessly connects to any corner of your room easily and swiftly. It is covered in black, elegant vinyl which also resembles of a vintage, style. 10SWi is placed inside a MDF cabinet which makes it one of the more durable, yet affordable wireless subwoofers on the market. It doesn’t have a Bluetooth connection like other home theaters. However, it is important to note that it has a steady 2.4 GHz connectivity which allows it to be placed anywhere in your room without risking the connection quality. It offers the CD-quality sound, with just a little to no setup. Aside from the digital amplifier signal, we are greeted with the Injection Molded Graphite, better known as IMG which adds more punch to the bass, while making it not too heavy, as it weighs barely over 19 pounds. It is excellent for the movies, parties, or anything in particular that involves usage of powerful bass. However, we found it slightly overwhelming for usage in smaller rooms. Bass is slightly overwhelming for smaller rooms. MartinLogan Dynamo 700W is a 10” driver wireless subwoofer ideal for the most premium surround sound systems and home theaters in order to amplify the sound and make it punchier with the dynamic bass. This stylish 26.5 pounds heavy subwoofer offers a sturdy, yet minimalist build. Dynamo 700W comes with an intriguing feature, it lets the user choose between the connections to use. As everyone has grown tired of the wires and banana plugs, MartinLogan offers a 2.4 GHz of frequency wireless transmitter which will allow you to place the subwoofer anywhere in the room, as long as it covers the range of 30 feet (around 10 meters). However, users can rest assured that they can make a connection with wires too. The subwoofer performs faithfully in both Down-Firing Orientation and Front-Firing Orientation. Overall performance is steady and dynamic, and how it wouldn’t be when the durable cabinet and a 10-inch diameter driver are used together. The only complaint about the model is its’ arrogant price. But, then again, the price must be paid for the top-end quality. 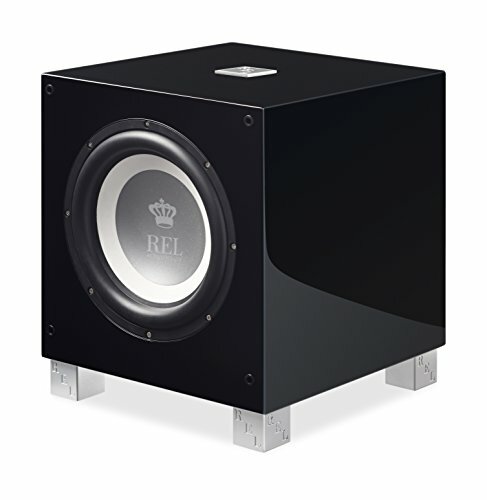 REL Acoustics offers the T9i wireless subwoofer with amazing bass capabilities. Housed inside a high-gloss, black and sophisticated housing with the speaker covered in gray silver, we must all agree that the T9i is incredibly stylish. It weighs 41. 3 lbs which don’t make it the most portable and light subwoofer on the market. However, it is important to take consideration on the sturdy build inside the cabinet. This Subwoofer connects mostly with wired. However, it is of the utmost importance to note that the subwoofer is compatible with Arrow Wireless. The subwoofer is equipped with the 10-inch front-firing driver and 10-inch down-firing passive driver for the dynamic and rich bass. Also, the 300 watts A/B amplifier with Neutrik Speakon will contribute to the low-frequency power and ground shaking bass. It is not a secret that this model is quite expensive, which is why it is one of the better subwoofers for the market. In combination with the right speakers and receiver, this model is ideal for the home theater melodic experience. 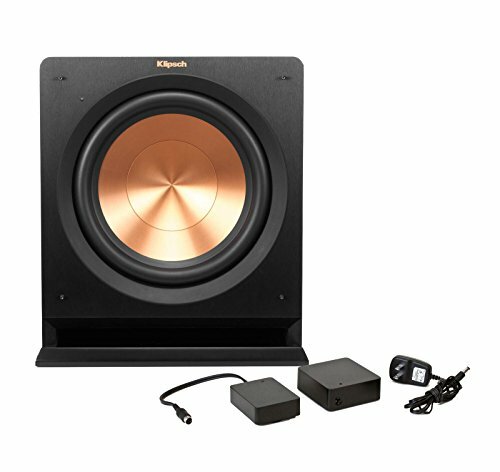 The advanced version compared to the 10SWi is certainly the Klipsch R-112SW the 12-inch diameter drivers subwoofer. Being a little larger than the other wireless subwoofer, it is a bit hard to transfer across the room. It weighs 60.1 pounds which are far beyond the average weight. If you want to match it with your living room and the rest of your home theater, keep in mind that R-112SW is available in two colors, cherry, and black. With the whole package, you get the Klipsch- WA2 wireless subwoofer Kit which will help you get rid of the wires across the room and enjoy more mobility. It’s’ robust design features the featherweight Cerametallic spun copper drivers in order to strengthen the sound and give bass its’ essential punchy attitude. The high expectations were justified in an amazing digital amplifier which contributes to the indescribable bass performance. The low-frequency bass is ideal for watching horror movies but other epic fantasies filled up with action. It’s’ high price is our only complaint regarding the product. We are satisfied with the overall punchy bass, durable and sturdy design and we believe that this wireless subwoofer is a great companion in providing all the necessary dynamics to the sound regardless of the purpose. Sound bars are growing in popularity and combining them with a high-end subwoofer is often the winning combination. Klipsch R-20B is the pure example of sophisticated black satin design in both sound bar and wireless subwoofer. Let’s see what this beauty is packed up with. Relatively affordable and lightweight at 8 pounds, the soundbar can be genuinely placed anywhere in the room, together with a bulkier subwoofer. It is important to note that this 2-channel system uses Bluetooth to connect and stream. Furthermore, the Bluetooth is backed up with apt-X codec in order to stream the impeccable quality of music. The wireless subwoofer hosts a 10-inch driver, packed up in a side-front style within a solid and durable MDF cabinet for extended lasting and, of course, durability. In terms of performance, there is no doubt that the subwoofer produced the most thunderous bass for this price range. There is a lot of dynamics, and undoubtedly the pure crisp in audio, ideal for either listening to the music and watching high-definition movies. 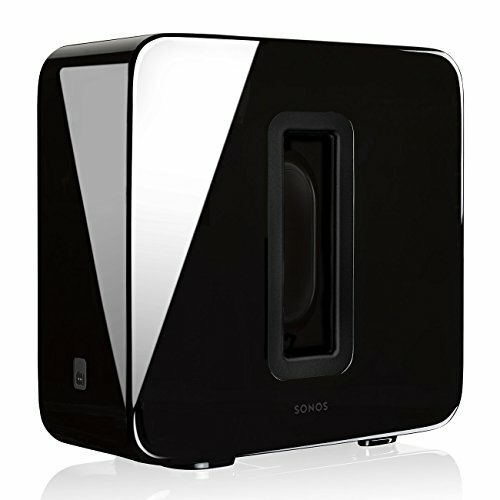 Sonos SUB is a wonderfully looking compact subwoofer suitable for other surround systems, also engineered by Sonos. Being this expensive, consumers should take caution when buying this system in order to have to match Sonos speakers or a sound bar at home. This discreetly, high-in gloss configured wireless subwoofer is available in both black and white colors making its’ attraction unmatched. Despite having to be plugged in, the subwoofer works wirelessly, not via Bluetooth but, instead, connects to your home wireless network. Sonos’ idea is to create the uninterrupted signal and collaboration between all home theater units. Another amazing feature is that as long as it is connected to wireless, it can, not just stream inside the room it is but rather in the entire house as long as you have the equipment to play it. Centered in the middle, two 6-inch drivers produce an outstanding, tremendous, and ground-shaking bass for any occasion. The subwoofer is powerful and in combination with a system of speakers it will create a great sound balance. 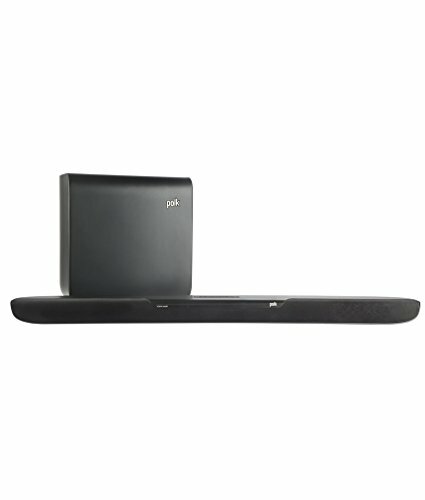 Polk Audio MagniFi system is a combination of a sound bar and wireless subwoofer. Thanks to their portable sign, it is not impossibly hard to set them up beneath your TV, without blocking its’ IR sensor. What is more important, they are even easier to set up, being only a two channel system. 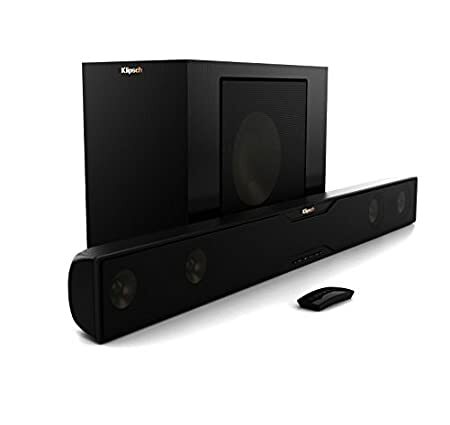 If you have been worried about the connection, there is a Bluetooth sensor which ensures that the soundbar and subwoofer stream the music from movies coming from your mobile phone, tablet, or a laptop. It comes with several features. One of these features is the intuitive Exclusive Voice Adjust technology which controls the presence of vocal capabilities in order to volumize the entire music, making it crisper, more textured, and vibrant. In combination these two sound superb, while the subwoofer fills the room with the ground-shaking ambient which surrounds the room. There could still be an improvement for the treble. However, overall, this system provides an adequate performance suitable for smaller living rooms. Velodyne 10 inch subwoofer is an amazing wireless subwoofer eligible for customization and digital control. It relatively easy connects to the system and is ready to stream punchy and dynamic bass. You will agree with us that at 39 pounds, DPS-10 is nowhere near portable. However, its’ easy and elegant, front-panel controlled construction makes it either easy and convenient to set up and use regardless of playing games, watching movies, or simply listening to the music. It has a couple of useful features, such as Night Mode controls, and four selectable audio profiles to match your activity. Make your gaming more vivid and movie marathons more emotion-evoking with these profiles. 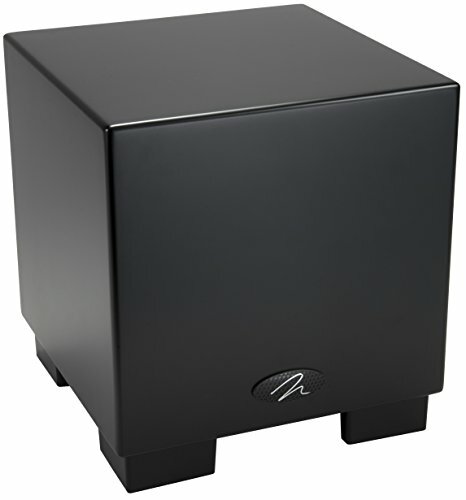 The air-moving bass is the main characteristic of Velodyne subwoofer, it can stream a vibrant and dynamic bass regardless of the audio profile. Additionally, it supports the Wi-Fi connection to the mobile phones and other wireless network-friendly devices to stream music. Another Subwoofer from MartinLogan greets us and this time it is a premium Dynamo 300 subwoofer suitable for stereo devices and home theaters. It is not directly wireless. However, wireless/Bluetooth receiver will enable the wire-free experience. 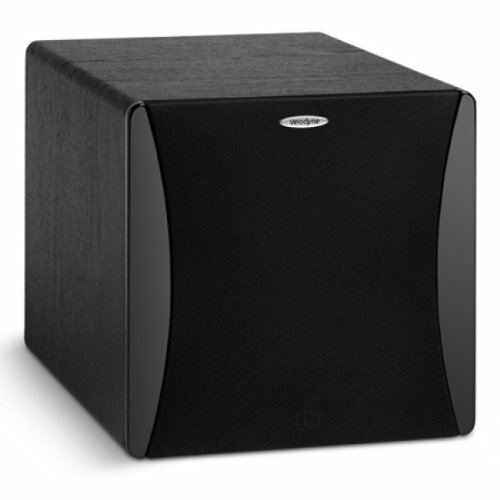 This black, elegant, and quite a large subwoofer plays a great role in producing the impeccable bass capabilities to the overall surround sound system, by providing the air-moving, punchy bass. Being 21.5 pounds heavy, it doesn’t belong to the group of bulky subwoofers. You can, nearly effortlessly place it in your living room, together with the rest of the speakers and then connect them. Additional construction of the MDF cabinet which exceeds in dense provides a durable, distortion-free bass experienced. If you opt for the wired experience, remember that you can connect it to the stereo with left and right inputs, though home theater LFE input is also available. The 75-watt amplifier does a great job, together with a 150-watt peak output. The bass is powerful, dominative, and more importantly, completely without distortions. 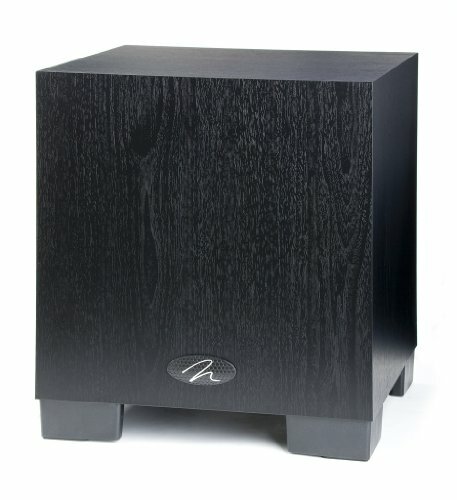 When you are looking for a high-end subwoofer, REL Acoustics is nearly always the answer. T/7i Subwoofer is packed up with features that make up for the dreamlike experience for audio and movie theater. The black, sophisticated design and lightweight construction make it eligible for any corner of your living room. It is eligible for either large and small systems, considering the adjustable volume and soundstage. If you are looking for a reliable amplifier, then rest assured that 200 watts Class A/B amplifier will do the work for you, along with the classic Neutrik Speakon. Its performance is more than satisfactory, the powerful bass adds emotions and strength to the different, epic movie scenery, as the games either sound and look realistic. It is important to note that it is also Arrow Wireless compatible. The cabinet is not sturdy enough allowing the distortion to occur. Wireless subwoofers with Bluetooth are available as either 2.1 channel units of a soundbar and subwoofer or large, full-stack home theaters. Our list compiles the high-quality products with either eligible wireless transmitters or receivers that make up for the lack of personalized Bluetooth technologies. If you are looking for a full home system, check out the best wireless surround sound system or the best home theater post.